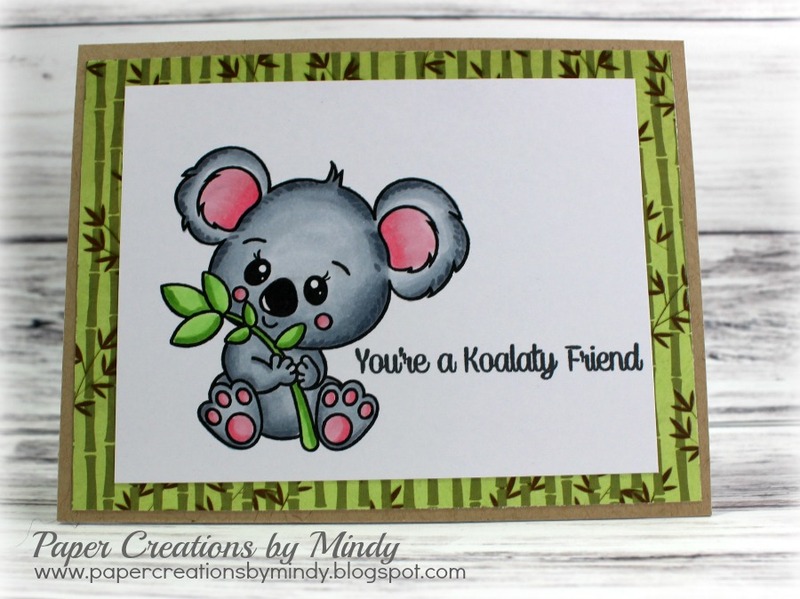 Jaded Blossom: Guest Designer Mindy! Welcome back! I have been having so much fun guest designing for Jaded Blossom. Did you see all the great projects during the week from the new release? If not, be sure to go back and check it out! Today, I'm just sharing a CAS card. I adore the new stamp set G'day Mate! The koala just melts my heart! 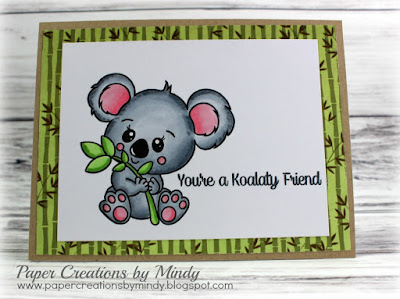 I colored up my koala on Xpress It cardstock, adding in a little shading and then just simply stamping a sentiment from the same set. It's quick and simple but .... with a koala this cute.... you don't need much more! I hope you enjoyed the card! So much cuteness! Gosh I need to start coloring-- you make it look so awesome! January Stamp Release Blog Hop!